El 2017 IFBB Olympia Weekend se celebrará los días del 14 al 17 de septiembre de 2017 en el Orleans Arena y en el Las Vegas Convention Center, Las Vegas, Nevada, USA. Semifinales Fitness, Bikini, Figure y Classic Physique: 10:00 a.m. en Las Vegas Convention Center – South Hall. Finales Fitness, Figure y Classic Physique / Semifinales 212 lb y Mr. Olympia: 7:00 p.m. en el Orleans Arena. Semifinales y Finales Men’s Physique y Women´s Physique: 10:00 a.m. en el Las Vegas Convention Center – South Hall. 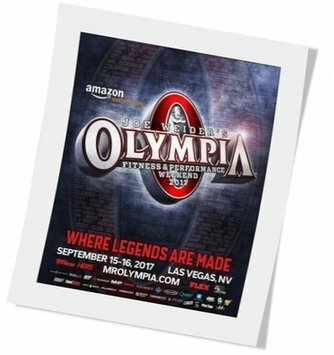 Finales Bikini, 212 libras y Mr. Olympia: 7:00 p.m. en el Orleans Arena. This entry was posted on martes, septiembre 12th, 2017 at 1:38 pm	and is filed under Campeonatos. You can follow any responses to this entry through the RSS 2.0 feed.Both comments and pings are currently closed.